This time of year in the garden is quite simply the bees knees. It is glorious out there! Warm sunshiney days, with that chilly nip in the air come 4pm. The mornings are slow and creaky as the days shorten, the earth is still warm but the days have lost their sweltering sting so you can get busy in the garden without dying from exhaustion or dehydration! Love, love, love this time of year in our climate. Rug up and get out there, it’s the best time to be super productive. 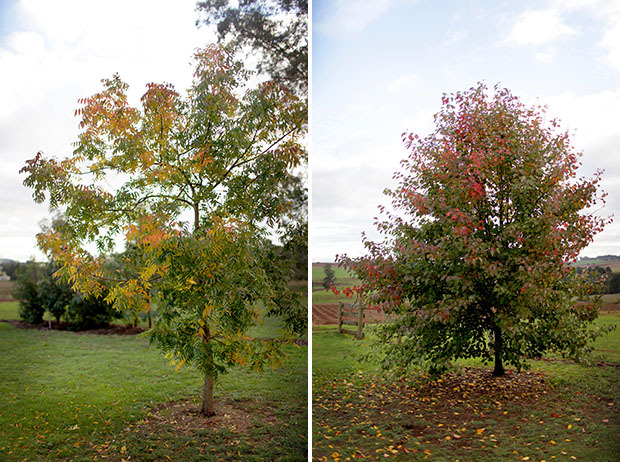 All of our European trees have turned their leaves to gorgeous hues of burnt orange, brilliant reds and bright yellows. Our grapevine this year has really taken off over the chook pen and is putting on a stunning show, as well as our Manchurian pear, Chinese pistachio and crabapple – which I swear seem more vibrant this year. Autumn is also a very important time in the garden to prepare, prepare, prepare. In these months, before the Winter dormancy in most plants and trees, it’s the ideal time to fertilise, to prune, to get all your ducks in a row so come Spring…a truly magnificent display will unfurl. Or that’s the plan anyway. Every September when the sunshine returns and bulbs spring from the ground and everything seems to buzzzzz with that Springtime busy-ness, I have a little bit of Autumn-regret. I should’ve planted more bulbs. I should’ve pruned a bit harder. Perhaps I should have moved that shrub a few months ago… Each year though I get less Autumn-regret though, each yer I learn a little bit more, as I know that once March rolls around – it’s go time in the garden. So what is to be done? Glad you asked. Here is a list of garden jobs I like to get done around our place in the months of March/April/May. Do they all get done every year? Probably not, because: time poor with very young children! But I try and get a few ticked off each week, and while the weather allows, before the Winter chill and rain and wind sets in (looks like I’m a little late with this week’s forecast!) I just know my lovely garden will thank me for it later, and pay me back in spades come September. Pruning – Autumn is the perfect time to get rid of any dead wood or spent flowers after Spring and Summer’s production has ended. You can read here about how I look after my hydrangeas. I also deadhead my roses throughout Summer regularly so they’re still blooming well into Autumn, but I won’t prune them until later in the year. I prune any flowering shrubs I have in the garden in Autumn, including our Avonview lavender hedge down our back path. It will look a bit scraggly and sad throughout Winter but come Spring will bounce back quite well. I try not to cut into old wood, but am quite ruthless sometimes! Any similar hedging plants can be trimmed and shaped up at this time of year. I also prune flowering natives, salvias, scabiosas, Mexican orange blossom, other lavenders, dahlias, butterfly bush…anything which flowers and is now finishing up I’ll give a good hair cut! General rule of thumb is to prune a third of the plant. Fertilise – I give all of our trees a good couple of handfuls of fertiliser watered in at their base/roots with a liquid seaweed solution. 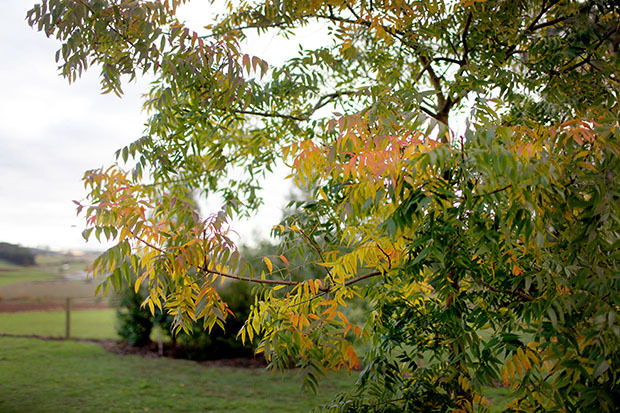 Autumn is the time you need to love your trees more to grow them big and strong! I also need to top up a little mound of mulch around their base, tucking them into their Winter beds. 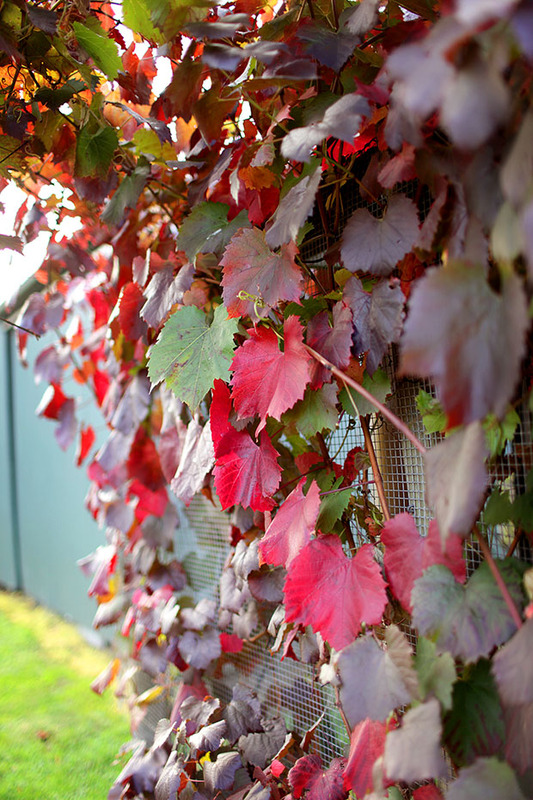 Planting – if you have any new planting to do, Autumn is the time. We have just finished planting a long section of natives up our driveway, the plants will do well now whilst the soil is still warm, they will settle into their new homes and have a good sleep through Winter. Come Spring hopefully they will literally ‘spring’ into life and do a lot of growing. You can definitely do your planting in Spring, but by planting in Autumn we’ve got a head start on the settling in process! Spring flowering bulbs need to get in the ground now to do their thing through Winter, ready to put on the show later in the year. Gets pots planted up now ready for Spring colour. It happens every year in Spring: I literally kick myself that I didn’t put in more bulbs back in Autumn! Don’t be me. Plant the bulbs. 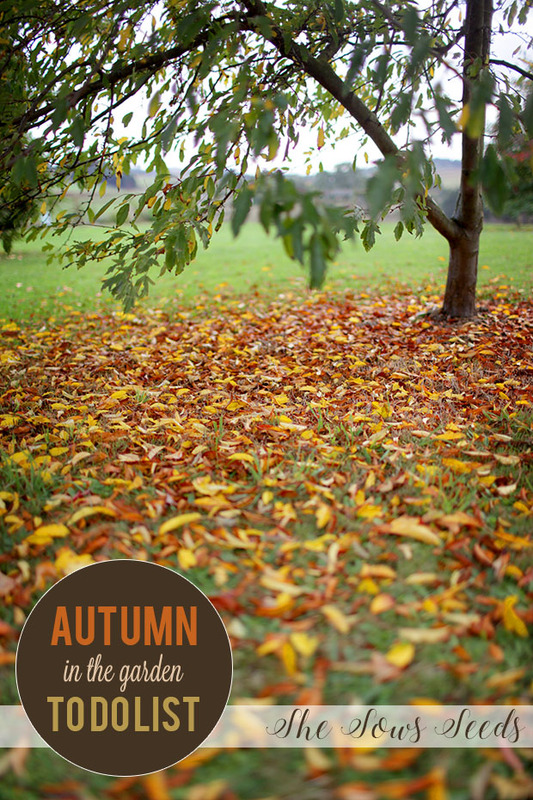 Lawns – I am no lawn expert, in fact ours are looking rather woeful currently, but there’s only one way to fix that: Autumn preparation. In April, once the heat of Summer has passed, is the perfect time to aerate, fertilise and assess any areas needing re-sowing. Autumn is also the ideal time to lay new turf, it will hopefully get it’s initial roots settled in while the ground isn’t frozen cold and then be raring to go into growing mode come Spring. Power in numbers – now is the time to get a bit savy with your plantings, or rather with your prior plantings. In Autumn you can easily dig up and divide plants to thicken up your garden, fill up gaps and give that beautiful look of abundance come Spring. I’ve only recently planted some society garden in a border, but next year I’m hoping it will have grown exponentially and clumped up nicely so I can divide and spread it out liberally. Water in with seaweed solution to prevent transplant shock. Compost – Autumn is a great time to get your compost in order, or even started. 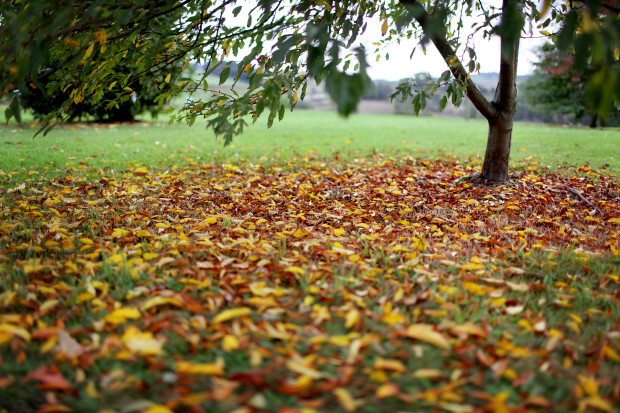 There should be loads of dry matter around like crunchy leaves to add to your mix, you can start a ‘leafmould’ (piles of Autumn leaves which break down through the cooler Winter months to produce a beautiful dark rich compost) which you can use in Spring on all your flowering shrubs. Veggie garden – in the food sector, all of your Summer veg is probably looking a little like ours (see below) – fairly spent, half dead and wild! All of the tomatoes, zucchinis, cucumbers, capsicums…coming to an end, with the plants dying off and leaving a bit of a rambling mess. 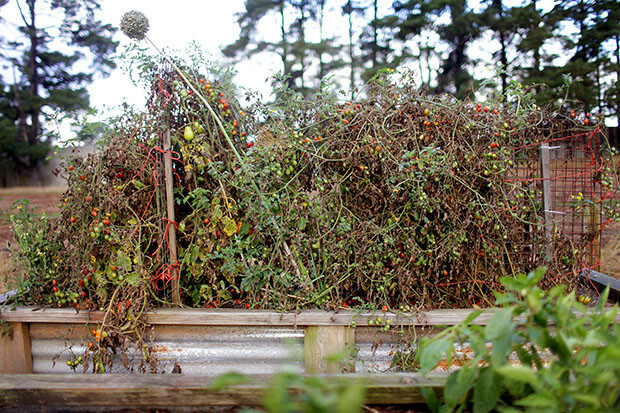 Clear out the spent plants, harvest what you can, and prepare your soils for Winter plantings. Dig in manure and compost. Autumn is the time to plant garlic, Asian greens, spinach, parsnip, carrots and fennel – although if you get a bit of an early cold snap germination can take awhile. Be patient. Obviously be aware that this is just what I do in our garden – in Gippsland, Victoria. We are a fairly cold climate, at 400m elevation and an annual rainfall of around 800mm, with frosts and sometimes snow in late Winter! This is also just a list of what I do in my garden, with the plants and trees we have – there’s lots I don’t know about lots of plants I don’t have (and lots I don’t know about the ones I do!) 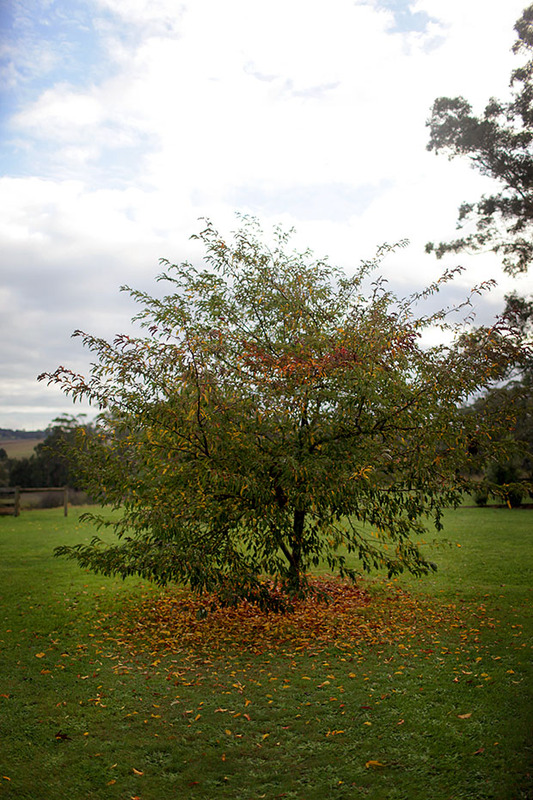 We have a lot of established trees in our garden (horse chestnuts, liquid ambers, blueberry ash) as well as established flowering shrubs like camellias and rhododendrons which were here from the previous owners. In 2010/11 we planted a lot of trees (crabapple, Chinese pistachio, Manchurian pear, magnolia, silver birch), in 2014 we added fruit trees (lemon, plum, manadarin and this year an avocado). Our garden beds are made up of a combination of natives (grevilleas, callistemons, westringias) as well as European cottage garden classics (salvias, lavendar, scabiosa, hydrangeas, roses, hellebores, daisies, daphne). Anything not in this realm, or already in my garden, I am not expert at. 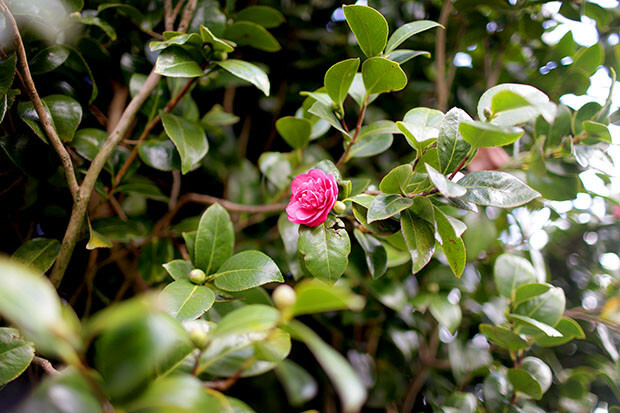 Citrus trees, or fruit trees in general, are not my forte – the art of pruning and caring for them seems quite the specific task…but perhaps the same could be said for my roses and hydrangeas?! Autumn is (perhaps) my favourite time of year. I say that every March when it rolls around, but then come Spring I also say the same thing! Whatever the case, I am so glad we get to experience our very distinct seasons here in Gippsland. 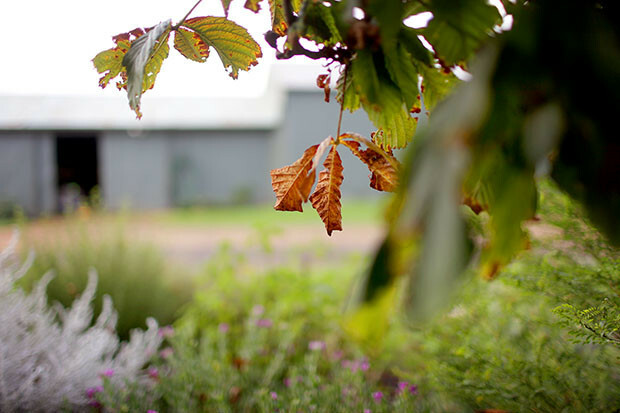 It provides such a rhythm to our lives, when each turn of the leaves comes around I know what’s ahead, what to do in my garden, whether it’s to prepare, to enjoy, to relax through the heat, or to get stuck in once Autumn arrives. Some great tips here Emma! Great inspiration! I’m doing my garden in dribs and drabs here in prep for Spring. 20 weeks preggas and 3 kids under 5 is not conducive To massive gardening sessions!! I’ve pulled out all the Dahlias and drying out tubers, ive chopped the salvias and now the garden is bare. What to plant to have something nice in the winter months?? I’m waiting for hubby to get me a tractor load of cow poo from the feedlot yard over summer so I can prepare some sites for autumn planting. Tell me does the Chinese Pistaccio have berries/ drop seeds? I’ve planted some bulbs and split iris, Lomandra and dianthus. I am hanging to move my roses from cuttings in the veggie patch to their new home as soon as they go dormant too. I’ve also raked leaves into the garden beds and sprinkled blood and bone and ash from the fire to build up the soil. I’ll be planting out the veggie patch with broad beans and garlic to start this weekend. I’ve also got a Japanese maple from my old neighbour and an olive tree to plant. The list goes on but I absolutely love it too!!! If only the money tree was producing to get some decent trees going here for autumn displays. I have a lipstick maple and Chinese sinensis on my radar!! Last weekend we went and got five big seed bags of sheep poo from under the shearing shed – brilliant stuff! All dug into our veggie beds where the zucchinis and cucumbers and tomatoes were (along with some gypsum) and we’ve done a green manure crop of wheat, see how that goes. The Chinese pistachio drops leaves, but they’re quite long and fine, and not many of them. I don’t think it drops berries/seeds? Blood and bone spreading here doesn’t go too well with our dog! We had an olive tree in the little cottage we used to live in in NE Vic, was lovely. My mum had some great Jap maples in her massive garden, we planted most of our trees after they were engagement or wedding gifts.